We recently discovered the Twitter World. Sure, we know it’s been out there for a while but we have only recently learned how to use it. We hope to learn more about it over the coming weeks and months. 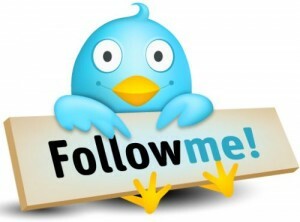 Today, we want to share with you how Twitter can help you. In preparing for today’s post, we learned a few things. First, twitter is a microblogging service. Who knew? We thought it was just for social networking. Apparently, the tweets that folks send out are actually microblogs of 140 characters are less. If you are long winded, Twitter is not for you! We also learned that Twitter was created in 2006. That means we are only 5 years behind. Our favorite learning in preparing for today’s post was that twitter took off at the 2007 SXSW. 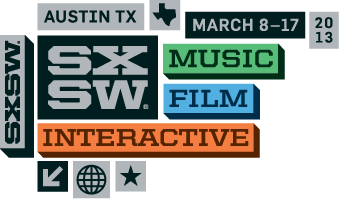 For those of you who do not live in Texas, SXSW is one of the coolest festivals ever and it is located in Austin. We both regularly attend KGSR shows at the Four Seasons during SXSW—but we digress. We’re talking about Twitter, right, not singers and songwriters. Sorry. Anyway, after the 2007 debut at SXSW, Twitter took off. By 2009, when Michael Jackson died, servers crashed when people were updating their status to include his name in tweets at 100,000 per hour. So what does all of this have to do with you? Well, not only is Twitter wildly popular, it can also be a source of information for you. You see, Facebook (if you use it), is really for connecting people who actually know each other. Perhaps it is different now as people connect through similar interests such as running, driving Mini Coopers, reading, or connecting over autism awareness. Twitter, on the other hand, is full of people who have never met each other. When people follow you on Twitter, they are not really following you and checking out your daily moves. They are really “listening” to your words. And even then, they may not be listening. As tweets are posted, the tweets come across a feed. So, your followers may not even hear you if they are not actually on Twitter when you hit send. However, once tweeted, your tweets remain visible for anyone to see when they visit your profile. So, how is that going to help you? Well, it’s not. unless you have something really important to say–like Vote For Me on American Idol! On the other hand, Twitter can help you if you listen. You see, there is an entire world of people out there sharing information in 140 characters or less. Some of it may be of interest to you. If you like to read, you will find a group of authors, aspiring authors, and literarians. If disability awareness is your thing, you will find a group of people who are interested in all disabilities. If you are interested in celebrities, you can get the daily dish on just about anyone. Tweets with links to blogs and other sources of information are shortened to remain under the 140 character limit. You may then visit the blog or simply bookmark it to visit later. The best way to get started is to get an account. Then search for your topic of interest. Let’s say that you are interested in autism. If you search for autism, you will find a stream of tweets where people have mentioned the word autism. Simply follow the people who wrote the posts in which you are interested. Twitter will recommend similar profiles so that you may find additional followers. If you come across someone who is following thousands of people, read through their list of people and follow the ones who seem interesting. You may find it most helpful to follow people who actually post tweets regularly. You will see how many tweets each person has when you check out his or her profile. Before you know it, you will have a stream of tweets coming across on topics that are of interest to you. Often, people tweet about blogs or current research or current trends (e.g., the NY autism insurance bill passed!). This allows you to follow subtopics of interest while also hearing about breaking news items related to your interests. Just yesterday, we saw this great post by @BobbiSheahan: http://www.bobbisheahan.com/guestarticles.htm In it, the Special Education Advisor wrote a guest post highlighting their top 50 Special Education Twitter people. Of course, we added quite a few people to our list of people to follow thanks to that great post. If you are in the autism world, there are great “Tweeps” out there including @PaulCBrady, @Calormom, @autismspeaks, @ageofautism, @ARIconference, and @TannersDad to name a few. As we said, we are just getting started. We hope to learn more and we will share it with you as we learn. In the meantime, only one of us is tweeting regularly. You can follow Missy @melissaolive.